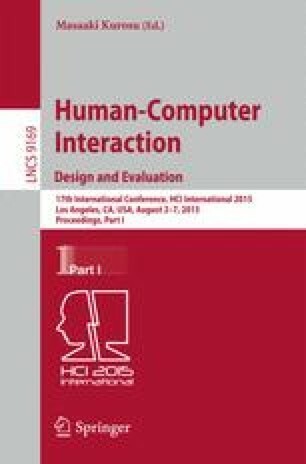 The aim of this paper is to illustrate the design process and development of a novel model for cause - effect artificial intelligence system, which is based on the digital endocrine model in human computer interaction. The model is inspired by the architecture of the endocrine system, which is the system of glands that each of them secretes different type of hormones directly into the bloodstream. The digital hormonal model can provide a new methodology in order to model various advanced artificial intelligence models for predictive analysis, knowledge representation, planning, learning, perception and intelligent analysis. Artificial glands are the resource of the causes in the proposed model where the effects can be modeled in the data stream. In this paper such system is employed in order to develop a robotic system for the purpose of language translation.